‘Ocelot’ is a Crowther 10 Sports Cruiser Catamaran designed in 1983 by Lock Crowther, design number 94. 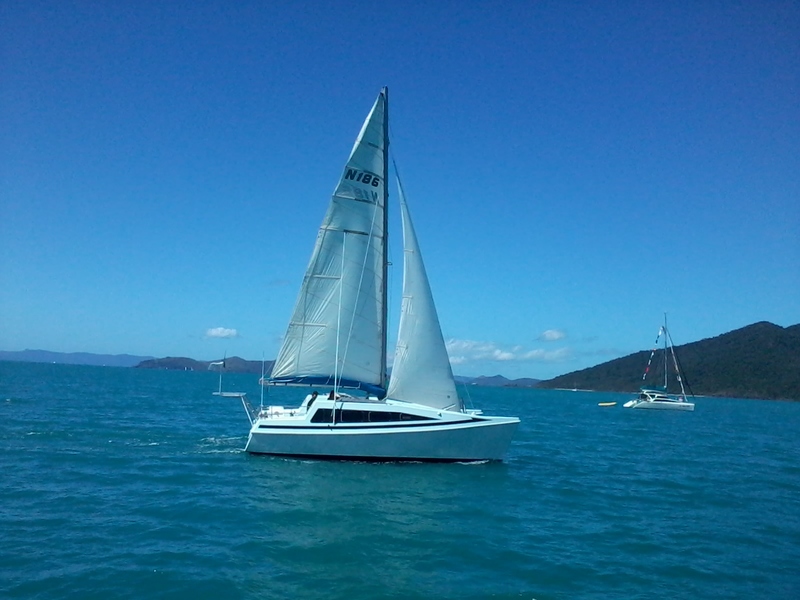 Lock is arguably Australia’s best and most well-known multihull designer. The Crowther 10 sports cruiser design was commissioned by Bob Hotchkiss of Beach Marine Catamarans in Sydney as a cruising cat for a couple and their kids, like us. 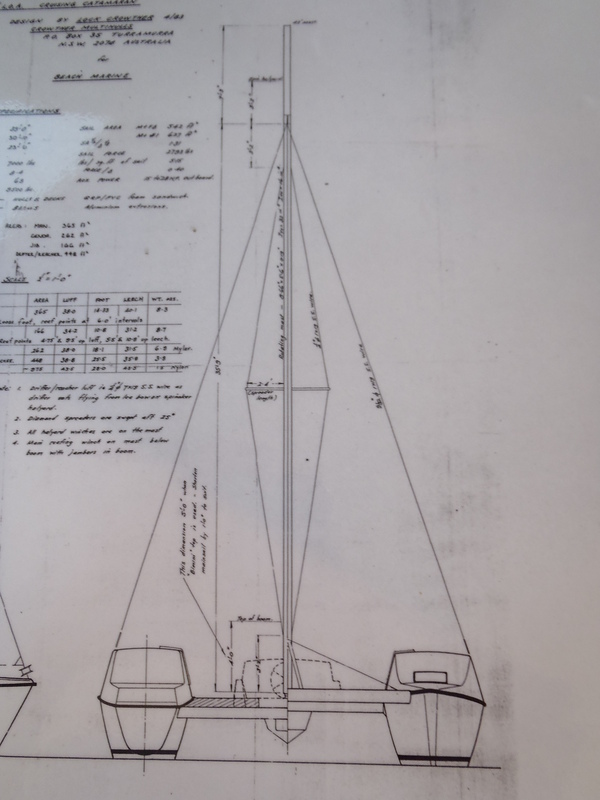 ‘Ocelot’ is 10m long and 7.5m wide, with long mini-keels she draws only 0.8m and loves to sit on the beach. 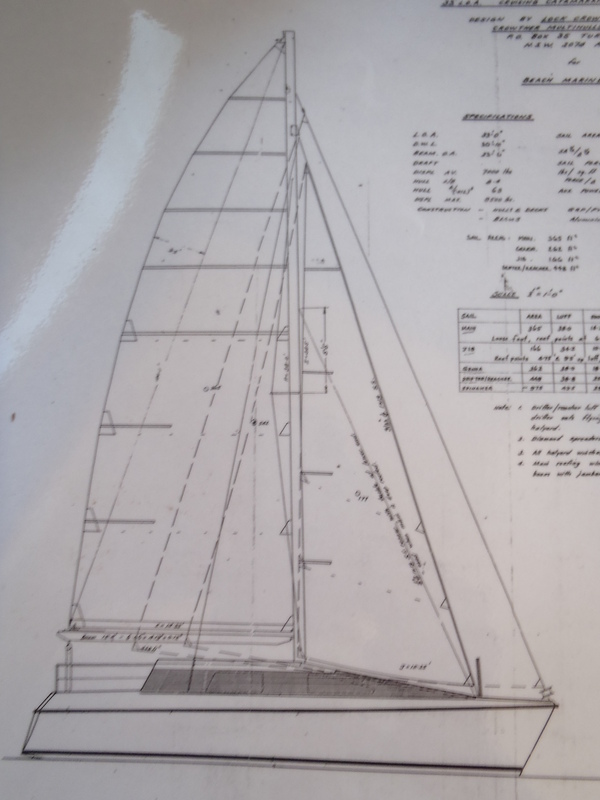 A 13m fractional alloy rotating mast holds a fully battened roached mainsail, and we have a semi battened working jib and genoa, with a symmetrical spinnaker in a sock. 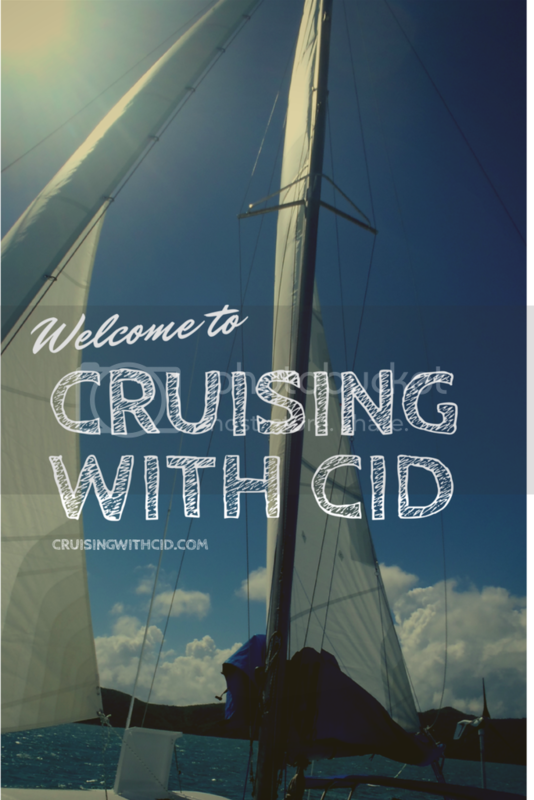 She sails well for a cruising boat, we can point about 48 degrees from the true wind angle and will do 7-8 knots in about 15knts of breeze, and easily over 10knts boat speed on a reach or running. She has a single 15hp 4 stroke outboard centrally mounted in a pod, and we motor at 6knts cruising with a top of 7.5knts. One of her worst features is the lack of maneuverability in marinas, once the rudders stop biting you are at the mercy of the wind, the outboard is not steerable or mounted anywhere near the rudders. The trick is to go in fast and commit (no scratches yet luckily!). Accommodation is comfortable, with a full size double in both hulls, plus a single in the strb side. 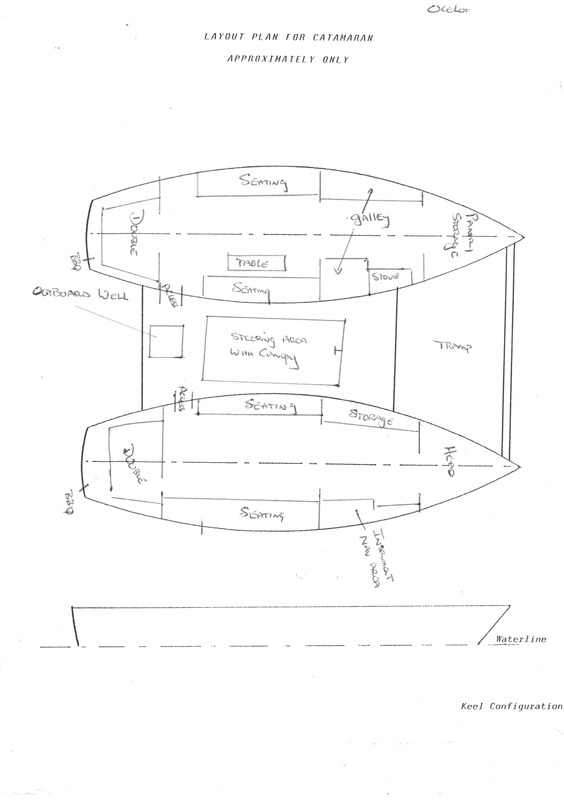 There is plenty of headroom throughout; a good size galley with double sink, 150 litre fridge, walk in pantry and saloon table with seating for 6 in the port side and nav area and head with shower in the strb side. I’m sure Bec will get some photos of the boat put up, if you want to see something specific just ask.